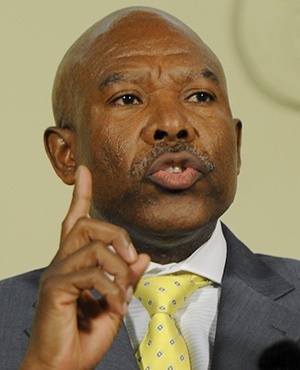 President Cyril Ramaphosa said he has "full confidence" in Reserve Bank Governor Lesetja Kganyago, and that the bank should have sole responsibility for setting interest rates. "Governor Kganyago is doing extremely well," Ramaphosa said in an interview with Bloomberg TV at the World Economic Forum in Davos, Switzerland, on Wednesday. "We are very, very pleased Governor Kganyago is where he is. He understands our economy." Ramaphosa’s comments could suggest that he would consider reappointing Kganyago for another five years when the governor’s current term ends in November - provided he is still president after elections in May. He declined to comment in the interview on whether he would offer the governor another term, saying the matter still needed to be discussed. Kganyago, a former head of the National Treasury, said in a separate interview he would be available to stay on. An election manifesto from the ruling African National Congress presented this month states that the Reserve Bank must consider the impact of monetary policy on economic growth when it targets inflation. That had raised concerns among investors that the party was prescribing policy to the Reserve Bank. Kganyago has responded that the party’s call was unnecessary because it already took growth and jobs into account when it set monetary policy. Credit-ratings companies have singled out the central bank’s independence as a sign of institutional strength in the country, even as other government bodies such as the tax collection agency and the prosecuting authority were hollowed out during Jacob Zuma’s presidency. The central bank’s focus on price growth has drawn criticism in the past from political parties and labor unions who say it should do more to foster growth - which hasn’t exceeded 2% annually since 2013 - and promote job creation. Ramaphosa also said steps were being taken to fix Eskom, the state power utility which is mired in debt and is battling to produce enough electricity to meet demand. Throwing money at Eskom isn’t the only solution to its problems and more work needed to be done to ascertain exactly what was going wrong, he said.